Vincent Pung hands over a mock cheque for RM7 million as final dividend payment for 2018 to Pengiran Hassanel witnessed by Shafie Apdal and SCC board members and senior staff. 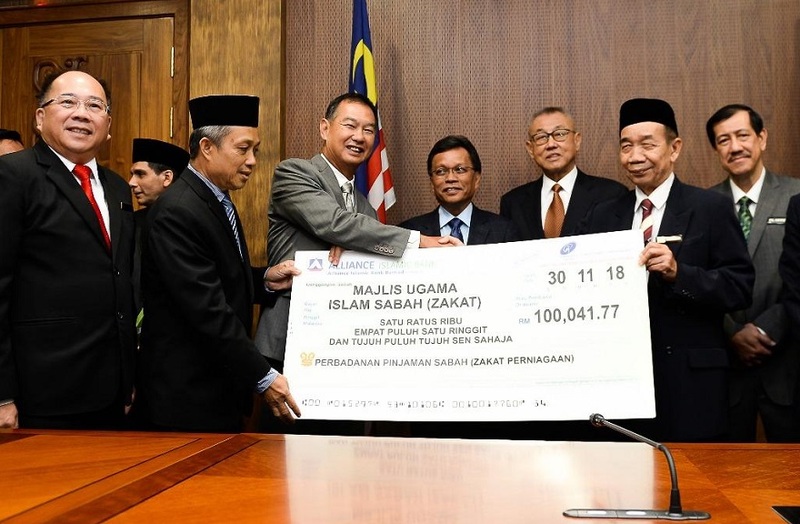 KOTA KINABALU: Sabah Credit Corporation spent some RM36.7 million funding for 182 charity projects on its corporate social responsibility (CSR) programme since its inception. The largest part of this amount went towards assisting the education sector in the State, mainly providing 42 rural hostels and other infrastructure facilities to the schools around Sabah. 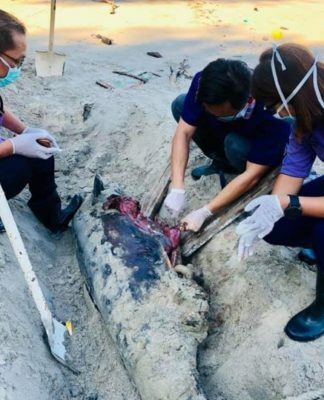 In the health sector SCC contributed medical equipment to facilitate medical services to the rural areas, its chief executive officer Datuk Vincent Pung disclosed. At the handing over of a cheque of RM7 million as final dividend payment for the year, Pung said more CSR programmes would be carried out in the coming years. For the financial year 2017, SCC made a surplus before tax of RM68.66 million with the total asset base of RM2.89 billion. 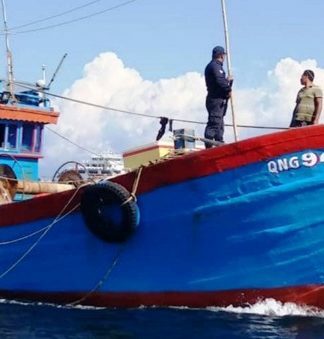 Vincent menyampaikan Zakat Perniagaan kepada Hasbullah, dua kanan, sambil disaksikan oleh Shafie Apdal. 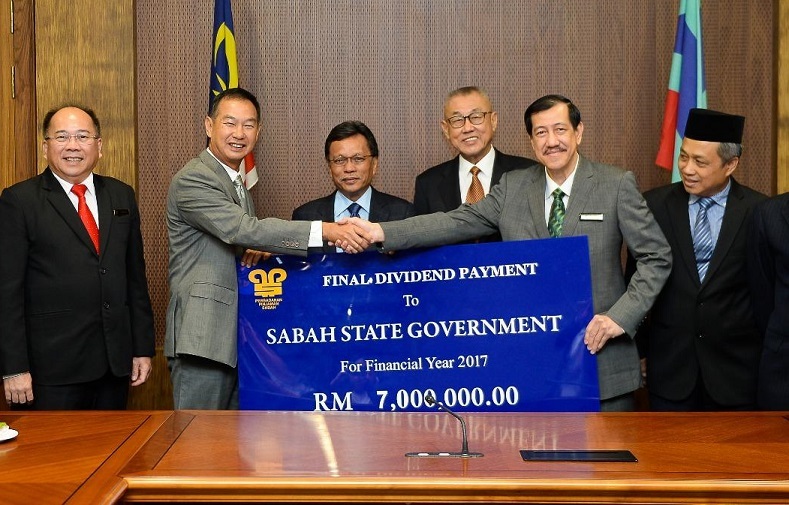 With this achievement, the government-linked company has declared dividend payment of RM15 million to the State Government of Sabah for the financial year 2017. The interim dividend of RM8 million was paid on 30th April 2018. 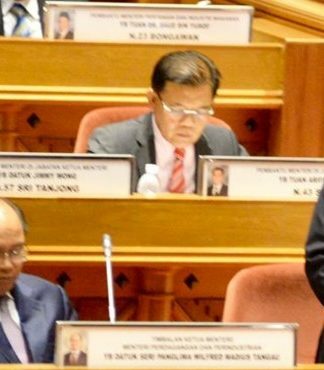 With this, SCC has paid a total of RM249.67 million in gross dividends to the State Government since the year 2002. With the handing over of the dividend payment is also a handing over of another RM844,437.10 for payment of SCC loan interest due to the State Government and a zakat contribution of RM100,041.77 to Pusat Zakat Sabah for the year 2017. Witnessing the handing over was Chief Minister of Sabah, Datuk Seri Panglima Haji Mohd. Shafie bin Haji Apdal and the Board of Directors of SCC lead by Dato’ Khoo Cheo Ping @ John Khoo, the Chairman. Moving on, SCC will continue to identify and embark on other initiatives with the advancement of FinTech, Artificial Intelligence (AI) and digital economy to continuously improve its services and delivery systems to its valued clients and to the citizens, said Pung. Several initiatives have been identified, studied and considered for implementation in collaboration with other parties in the financial industry. He added that SCC has also launched its i-Cash product, a personal financing for the general public and has full implemented MFRS9 accounting standard.